Thank you for saying nice things about the nice people in Niceville. I think it's nice what you and nice are doing for diabetes Awareness. The people at the coffee shop thought you were very nice too. Hope you enjoyed your nice breakfast and nice beautiful view of the Nice Bayou. 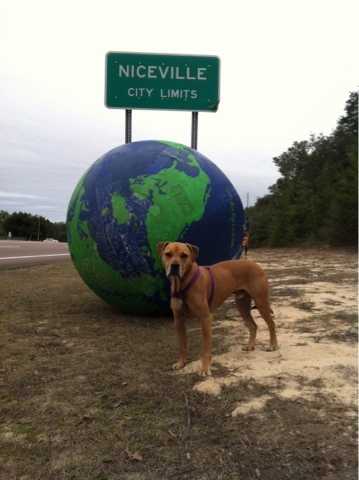 We hope you always remember Niceville.. We will always remember you and Nice!